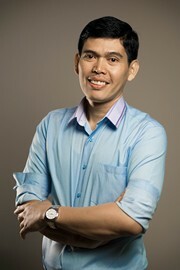 Heru holds qualifications in computer science from Gunadarma University. He is also trained in graphic and web design. Heru assists our Publications and Graphic Design Officer with formatting our publications as well as organising the logistics of printing and distribution. Prior to joining SMERU, Heru worked on the design, layout and distribution of publications at the LBH APIK institute.